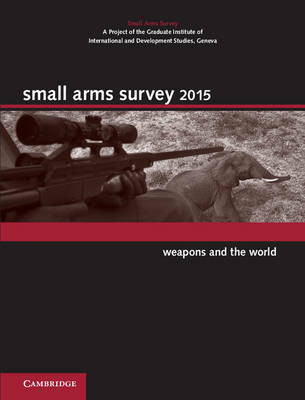 The Small Arms Survey 2015 examines the role of weapons and armed violence in humanity's appropriation of the earth's wildlife and mineral riches - in Africa, where the poaching of elephants and rhinos is becoming increasingly militarised, and near resource extraction sites around the world. In addition to presenting updates on the UN small arms process and the top arms importers and exporters, the volume assesses how recent technological developments affect weapons marking, record-keeping, and tracing; reviews small arms flows to Egypt, Libya, and Syria; and evaluates a stockpile management initiative in south-east Europe. The 'armed actors' section sheds light on the arms and ammunition used by insurgents in northern Mali, the decline of the Forces Démocratiques de Libération du Rwanda, and the use of floating armouries by private security companies in the Indian Ocean. This edition also analyses conditions that are driving young people to adopt high-risk coping strategies in Burundi.